You can find my full itinerary for this trip in my Japan Itinerary blog post. Total Expenses – Is Japan Expensive? 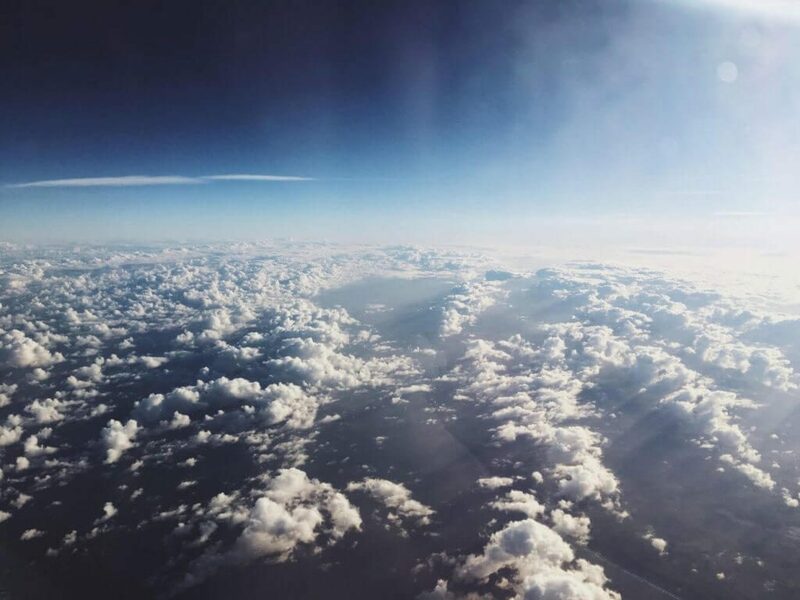 Book your flights as early as possible! We booked our flights 8 months before our trip, and we watched prices shoot up afterward. For the same flight! Just wondering how much more money we could’ve saved if we had booked it even earlier. Check prices for different airports. If you’re traveling to different cities in Japan, check how much it would cost to fly to Osaka instead of Tokyo. We saved over £100 by changing our departure airport from Manchester to Amsterdam. Instead, we got a cheap £20 flight with Ryanair to the Netherlands and flew from Amsterdam instead. Always check overlay time on extremely cheap flights. We found a return flight for £300- £350 but there was a 16-hour (!!) layover in Frankfurt. Same thing on the way back. That meant we would lose almost two full days in Japan! Check for different dates. If you aren’t tied to any dates for your trip, try checking different departure dates. Changes are that flying one or two days before/after your original plan can save you hundreds of pounds. Check different websites. Different websites offer different prices – so unfair, I know… When you’ve found the best dates, airports, and prices on one website, always double check if another website doesn’t give you that same flight for less money. My favourites are Cheaptickets, Skyscanner and HolidayPirates. * Prices we paid for a hotel room with double bed and private bathroom. 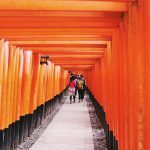 about Kyoto tourist tax here. Pick a hotel close to your planned itinerary. After planning what you want to do in each city, you can start looking for accommodation. Why book a cheap hotel/hostel/Airbnb if you’re going to spend hours traveling by metro/train every day. 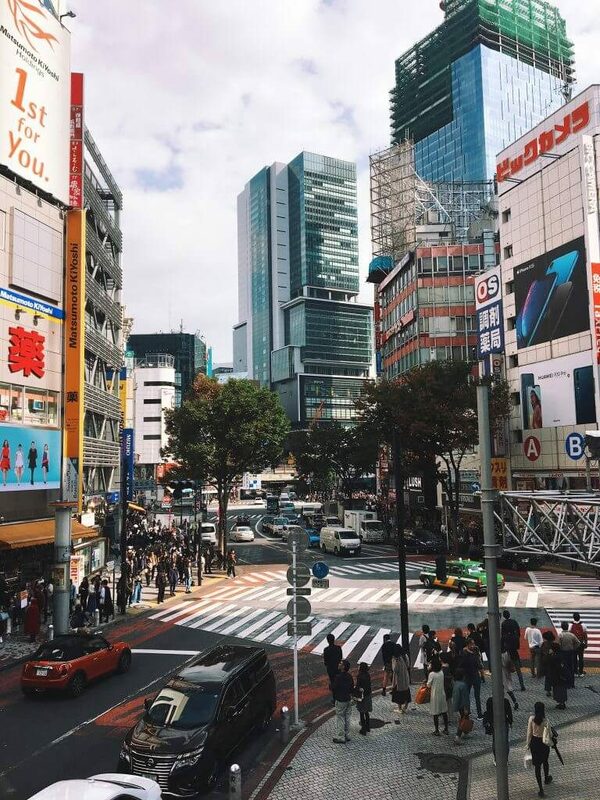 I’d much rather spend that time exploring the city and pay a little extra for a room right in the middle of where the exciting things are happening. I always use Booking.com to book my hotels because it’s so easy to use and you usually don’t pay until you get to the hotel. Don’t cheap out on accommodation. In my experience, accommodation can make or break your trip. Having a good room to get back to in the evening to relax and clear your mind is so important. A good bed allows you to fully recharge for the next day, which is crucial when you’re exploring Japan. You don’t have to go on and book 5-star hotels, but don’t be afraid to spend a little more on the right room. 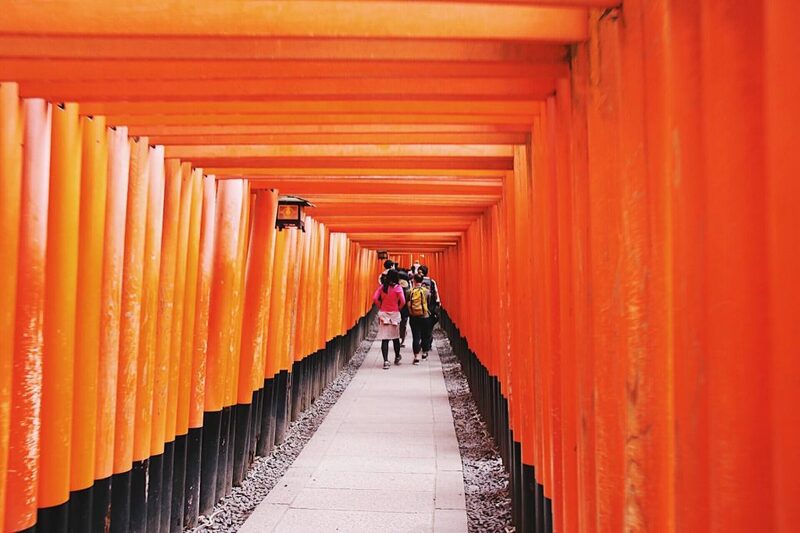 Traveling inside Japan can seem a little daunting, especially if you don’t speak the language. But after experiencing it myself, I can say it’s really easy! Everything is super smooth and easy to understand. It’s not even that expensive. Let’s not forget how amazingly accurate train times are in Japan! And let’s be honest, who doesn’t want to ride the shinkansen when in Japan? 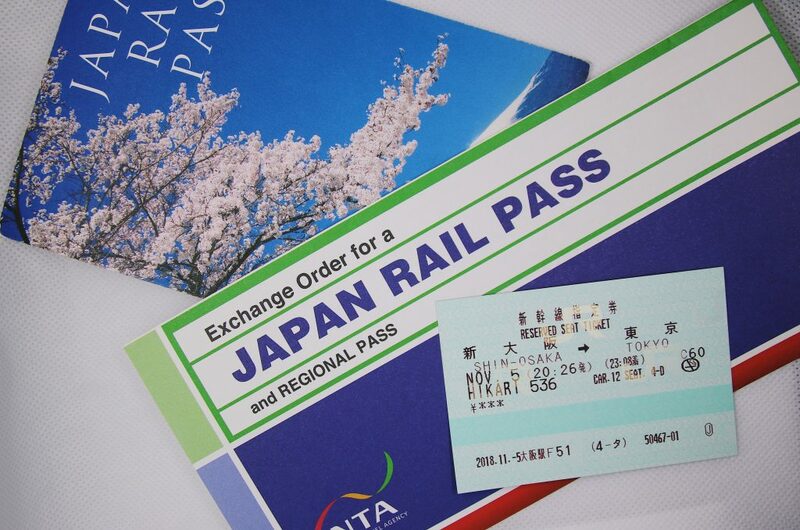 Get a JR Rail Pass if you’re traveling to multiple cities. The JR Rail Pass is a crazy money saver if you’re traveling to more than one city in Japan. This pass allows you to travel on the JR lines for a set amount of days, unlimited at a set price. Considering you can get a 7-day JR Pass for roughly the same price as a return ticket from Tokyo to Kyoto (¥28,000/£196), it’s more than worth looking into! We bought (Please note: you have to buy these passes BEFORE arriving in Japan, they are only for tourists). Adjust your itinerary to the JR Pass. You can get a JR Pass for 7, 14 or 21 days. Because a 14 day JR Pass is a lot more expensive than a 7 day JR Pass, it might be worth adjusting your itinerary to this. On my trip, we planned Kyoto, Osaka and Nara into 7 days instead of getting a 14-day pass. This way we saved £119 per person. Get a Suica card. One way to make your travel inside the cities a lot easier AND cheaper is to get a Suica card. You can get this card and top it up at any train station (we got ours at the airport). You top it up with money and use it to scan in and out at the stations you use. It automatically takes the correct fee off when scanning it, so you don’t have to worry about paying too much for a ticket or worry about what type of ticket you have to get for each station. For more information about how to get a Suica card, how to top it up and how to use it, click here. Use HyperDia for planning your public transport trips. Japanese public transport isn’t too difficult to understand, but using a website called HyperDia made our lives so much easier. Bookmark it on your phone and use it whenever you want to know how to get to your next stop. Fill in your current station and your preferred destination and the website will tell you where to get on, how long it will take and how much it will cost. Super easy! You can find HyperDia here. Because we loved using our JR Pass so much, I decided to become an affiliate with them. If you want to support The Navigatio, please consider buying your JR Pass via the banner above! Try everything! There’s so many great restaurants in Japan, so many places that do street food, so many crazy looking snacks in the supermarkets. Go and try them all! You’ll be surprised at how many things taste godlike! Family Mart is your friend. Even though your home country might not have the best selection of ready-meals in the supermarket, Japan is on another level. Their supermarkets are AMAZING. So many fresh meals, healthy snacks and hot food for oh so cheap. 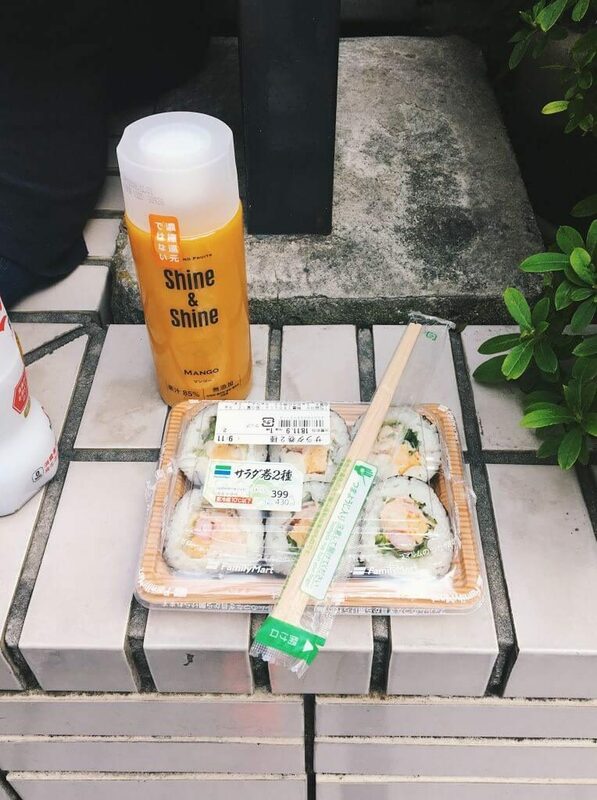 We usually got breakfast at 7/11 or Family Mart for ¥300-¥600 (£2-£4) and we absolutely loved it. They’ll heat up any rice boxes for you, too. On some busy days, we even went to the supermarket to grab a quick dinner (before a concert, for example). Try CoCo curry. Japanese curry turned out to be one of our favourite meals while traveling in Japan. CoCo Curry is a chain that does amazing curries, and they are super affordable. We would have our entire dinner for less than ¥1000 each. Family restaurants in the back streets. Main street restaurants know they can ask for more money, especially to tourists that aren’t familiar with the city. Try to wander around a bit and find some little family run restaurants in the less crowded streets. These restaurants often have more authentic dishes, you support a family business and they’re often much cheaper. On our first evening, we stumbled upon a little restaurant and had the best ramen and tempura for only ¥500 each! The owners were incredibly friendly and were so pleased we enjoyed our food. If you’re anything like me, you’re going to spend a ton of money on souvenirs in Japan. From a secondhand Nintendo Gameboy SP to lucky charms from your favourite shrine, Japan has it all (yes, I bought both of these!). There’s so much cool stuff to bring home from Japan, things for yourself and as presents for your friends and family. You can make this as expensive as you want, depending on what things you want to do. To be honest, we did not really watch our spending as much when it came to activities. We just wanted to make the most of it! Shrines and castles were really cheap to visit. Most were free, some were around ¥400-¥600 per person. The reason we spend this much on activities and entree tickets is that we went to Disney Sea (¥7,400/£51.63 per person), rented a kimono for a day (¥2,500/£17.44) and went to a concert (¥7,000/£48.84). This also includes all the money we spen on arcade games. Book in advance when possible. Entree tickets to shrines, castles or museums have to be paid on the spot, but if you’re planning on bigger/more expensive activities you can save some money on buying them in advance. We booked tickets for the concert and the kimono rental before we went to Japan, and it saved us a lot of hassle whilst on holiday. Explore the ENTIRE arcade. The first week in Japan, we were slightly disappointed with the arcades, because we only saw the claw machines. Little did we know, the real stuff happens upstairs. All the cool arcade machines are usually found on the first floor onwards. Don’t be like us and waste your money on the claw machines ;)! Do your research on what shrines you want to pay for. Japan has so many beautiful shrines, and many of them are free to visit. We only paid to visit a handful, saving us quite a bit of money in the end. Some were perfectly viewable without paying entree price. Make sure not to save too much money though, you’re in Japan! You might as well pay a little extra and see the things you want to see up close. We had one extra cost that I’d like to address because it was worth every penny. Two words: Pocket. Wifi. This little device is a lifesaver. It’s a little box you can put in your bag and gives you wifi anywhere. ANYWHERE! You can connect up to 10 devices to it at once. Simply charge it at night, and you’re good to go for the full day. We got ours at Japan Wireless and I would 100% recommend them. Order it before you go to Japan, pick it up at the airport after arriving and right before you leave, you post it back to them at the airport. It’s super easy and 100% worth your money. Now let’s add it all up and see how much we spent per person on this 16 day trip to Japan. I’d like to add that we did watch our money when booking the flights, accommodation and some of the things we booked in advance. But while we were in Japan, we didn’t really watch the budget. Japan had been our dream for so many years and we wanted to experience it fully. We tried all the food we wanted to try, bought all the things we wanted to buy and didn’t hold back. If you want to go to Japan as cheap as possible, you can probably knock a couple of hundred pounds off this if you watch your spending. As you can see, my trip to Japan didn’t turn out to be as expensive as I thought. I thought I was going to be spending at least £3000 per person and we ended up spending almost £900 less than that! 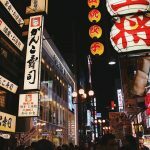 Hope this post was helpful for those who are also planning to go to Japan. If you have any questions, feel free to leave a comment below or send me a message! Want to read more about Japan? Find more Japan-related guides and tips here. Wow this is really helpful! 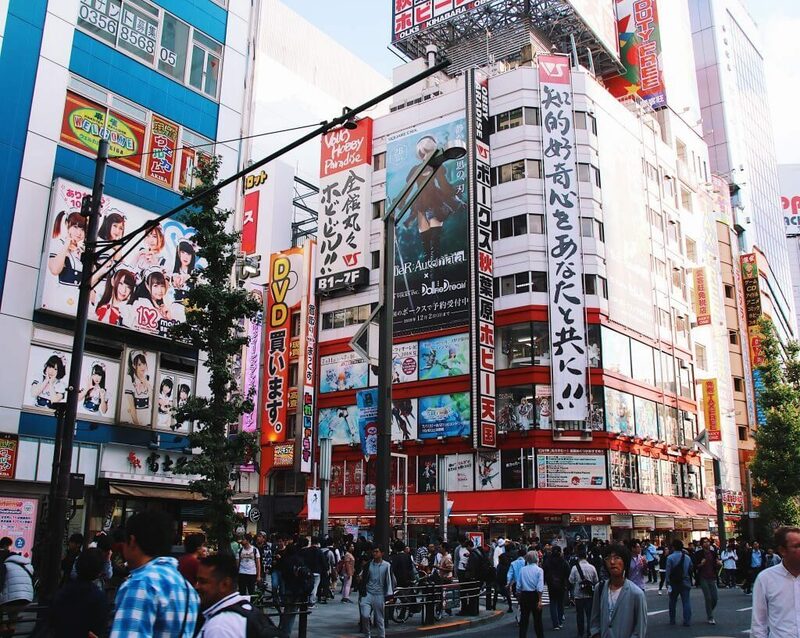 Japan is so high up on my travel bucket list and it’s so good to get an idea of how much I should be saving up! 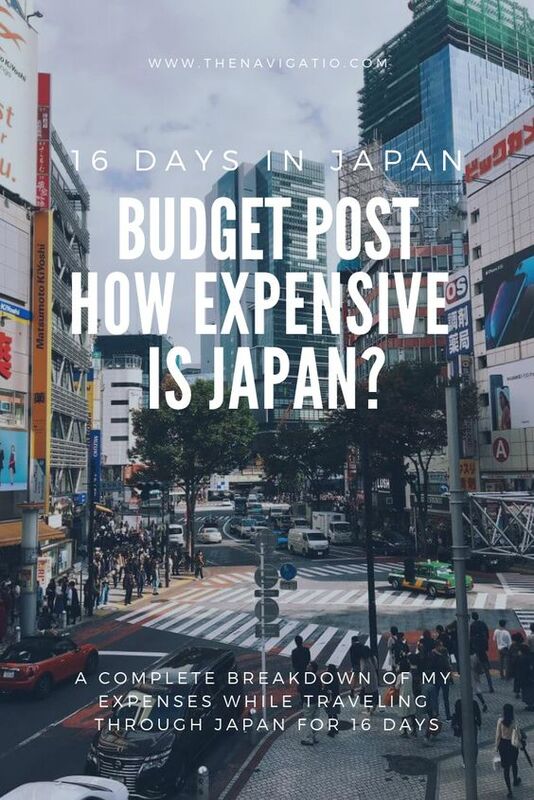 I love how this post breaks down the cost to enjoy your time in Japan. YESS on not cheaping out on accommodation. You don’t want to be in a nasty hotel and go through bed bug experiences. Glad traveling in Japan wasn’t that bad – I love accurate timings of public transportation. I usually get worried if I missed the bus because it came too early. You bring up a good point about going to restaurants in the back. Oooh, I know I’d want a pocket wifi for sure. Thanks for sharing your experience! I can’t believe how cheap your flight tickets were – it cost me £800 return from London! Eek. But I’m planning on going again so I’m saving this post for future reference as I’d rather spend more money on souvenirs and experiences! Thank you so much for your detailed account of your budget, it’s super helpful and I feel like not a lot of travel bloggers talk about it. Oh my days! this is an amazing post! 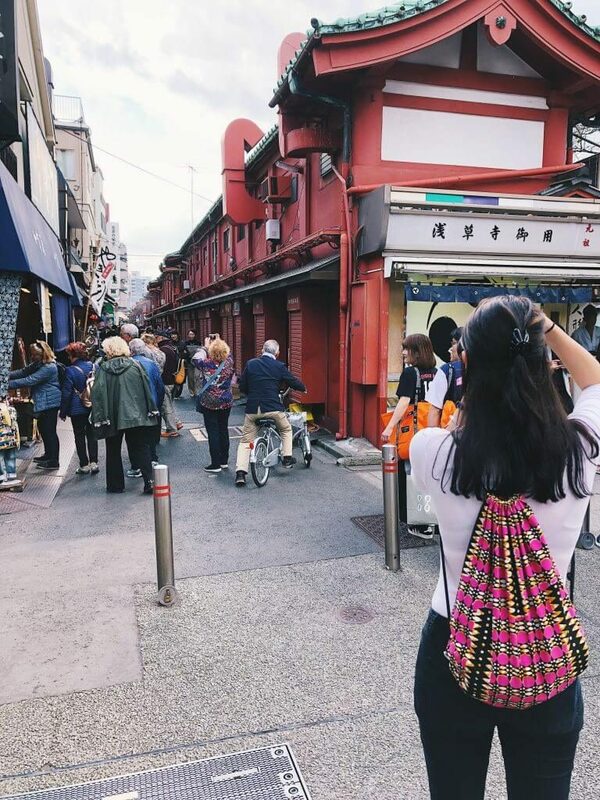 Japan is on the top of my travel bucket list and the fact that it doesn’t have to cost an arm and a leg to explore the country moves it even higher on my list! Great informative post! Wow!!! You indeed saved a lot of money and the pictures look amazing!!! I went to Japan last year and didn’t fork over thousands of dollars and had a blast as well! It really does come down to how well you plan your flights, accommodations, foods and activities. My friends forked out $5k (not including flights and Airbnb) which I thought was a little ridiculous, and we spent about two weeks there as well. I’m planning to visit Japan again and the fact that I got all the touristy things out of the way makes it even cheaper the second time around. I am hoping to visit Japan in the future, so knowing these things in advance will help me better plan my trip and hopefully prevent me from wasting any money. Nele this is a nice breakdown. No need to break the bank to visit Japan. I’m planning on going to Japan this summer on my way home from volunteering in Indonesia. My friend is teaching English out there just now so I won’t have to spend anything on accommodation – a HUGE saving according to your budget. This is super helpful! I want to go to Japan one day so it’s good to see that it doesn’t have to be as expensive as I thought. The Pocket WiFi sounds amazing, definitely a good investment! I’d also have to be careful with souvenirs, I have my eye on the Pokemon Centre and I’d have to really restrain buying all the plushies haha! That cost is actually really reasonable for 16 days and I totally agree about a decent hotel! I’m looking to visit Japan next year do this will come in so useful when I’m planning. Sounds like you had an amazing time!